This is the final season. The Pallucci's disappear. Another love interest comes into Doris's life. Patrick O'Neal joins the cast. "No More Advice ... Please"
"A Small Cure for Big Alimony"
Dr. Lawrence finds himself on the sidelines while Doris interviews a handsome bachelor. Doris accepts an offer from Prestige Magazine, igniting a battle with Today's World magazine. Doris moonlights at KBEX an all-night radio show to solve her economic problem. Doris takes a leave of absence from the magazine and signs on as press secretary to handsome congressional candidate Jonathan Rusk (Patrick O'Neal). The police arrest Cy as a peeping Tom, this jeopardizes his chance at winning the annual "Man of the Year" to San Francisco's most outstanding citizen. Doris suspects that Peter is having a fling with a very beautiful actress. Doris discovers how wealthy she really is when she needs $1,100 in a hurry. Doris poses as a nurse as she breaks hospital security to interview an injured safe-cracker. Doris interviews a young rock star who falls in love with her. An Eastern European General is investigated by Doris about the allegations that he secretly plans to defect. To keep their apartment complex from being bought by a conglomerate, Doris, Mr. Jarvis and the other tenants meet to discuss buying the building themselves and creating a co-op. Peter gives Doris an antique car to mark their Anniversary, the problem is the car is so slow that Doris is late for all her appointments. Doris sits in for Cy and serves as editor-in-chief for one issue of Today's World Magazine. A retired mobster makes Doris an offer she can't refuse: he'll donate $10,000 to her animal charity if she will babysit his dog Tiger for two weeks. However, the police get involved and are suspicious of Doris. 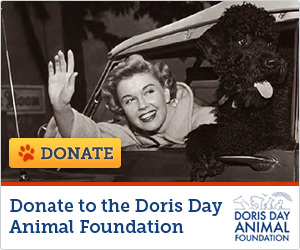 In order to expose a phony talent agency Doris goes undercover after being approached by a talent scout played by Andy Griffith. Doris attempts to save an elderly employee's job at the magazine by convincing him to challenge the mandatory retirement age. Doris offers to help Peter raise money and operate a fashion show as a fundraiser for the Hospital Benefit. Doris adopts a couple of stray dogs causing problems for her and her landlord who has a no pets policy. Cy won't let Doris interview her ex-boyfriend about his newest book fearing the magazine's image could be tarnished. Cy is upset when his ex-wife's boyfriend falls for Doris. Cy was hoping that he wouldn't have to pay his ex alimony anymore. Doris and Cy turn criminal thanks to her uncle, an art forger who's involving the unwitting pair in a swindle. Doris accepts Jonathan's wedding proposal and makes plans for their wedding. A romantic weekend away for Doris and Jonathan turn into an unwelcome double date when Jackie and her boyfriend, Sid invite themselves along. A struggling Today's World writer, Scotty on the verge of being fired asks Doris to ghostwrite an important story for him. This is the final episode of the series.